As yesterday was a bit grey and overcast I took the opportunity to finish this lap quilt. 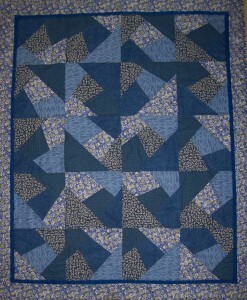 I added a 1/2 inch flange inset in plain blue prior to the final border of floral print. 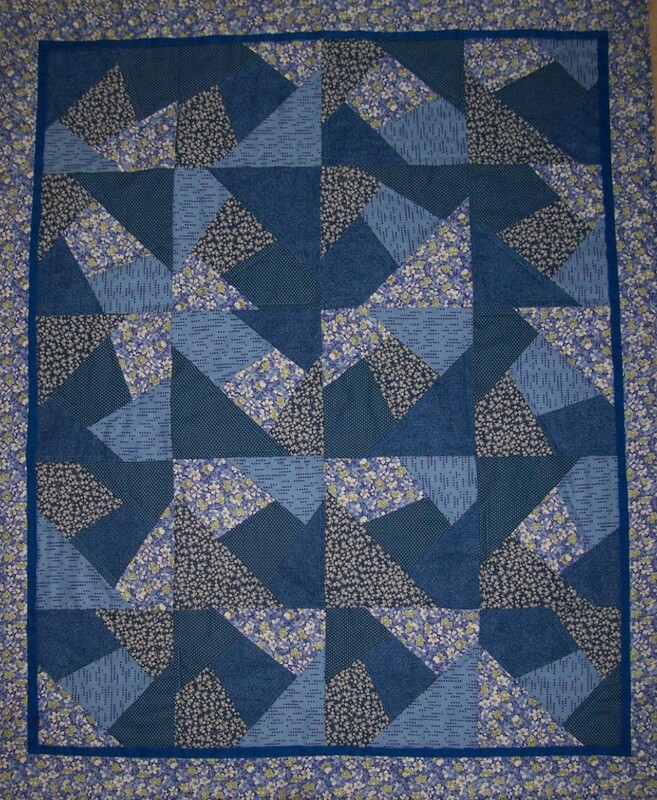 The backing is a plain calico and I machine quilted in random zig-zag lines 1/4 inch from the construction seamlines. A different finishing technique was to turn in the edges of both the quilt and the lining and then top stitch together. As I did not make the borders quite as wide as originally planned the finished size of the quilt measures 34.5” x 41.5” (87 cms x 105 cms). When I showed the quilt to my husband he commented – it’s very modern. I take that as a compliment!